Although newer diesel vehicles have been found to be cleaner than regular gas-powered vehicles, there are many studies which demonstrate how harmful their emissions are to consumers. Now, a new study is adding to that evidence. Researchers from the University of Washington have found that airborne particles from diesel exhaust can modify the DNA of babies in utero and alter the expression of their genes. The result is that these children are born with an increased susceptibility to heart failure. "Our study adds to the large body of evidence that air pollution exposure has significant harmful effects on the cardiovascular system, and extends these findings to show the effects of this exposure on the developing heart -- effects that can last for decades," said Dr. Michael T. Chin. Chin and his colleagues came to their conclusions after examining the effect of diesel exhaust in four groups of mice. The first group was exposed gestationally to filtered air and underwent a sham surgery, which is a surgical intervention that omits the step that researchers believe will be therapeutically necessary. The second group was also exposed gestationally to filtered air and underwent a sham surgery, but these subjects were exposed to diesel exhaust particles. Unlike the first two groups, the third and fourth groups underwent transverse aortic constriction (TAC) surgery, which was used to model cardiac hypertrophy and heart failure; group three was exposed gestationally to filtered air while group four was exposed to diesel exhaust particles. After analyzing heart gene expression in all four groups, the researchers found three genes that expressed differently for mice in group 4 – which was the group that developed the worst rate of heart failure. They say that the genes are important to mediating sensitivity to heart failure and that exposure to the diesel particles caused DNA methylation, which increased the risk of heart failiure. "From just an experience vantage we all assume diesel and other petroleum combustion products are bad for us. Here is evidence of possibly how bad," said Dr. Thoru Pederson, Editor-in-Chief of The FASEB Journal. 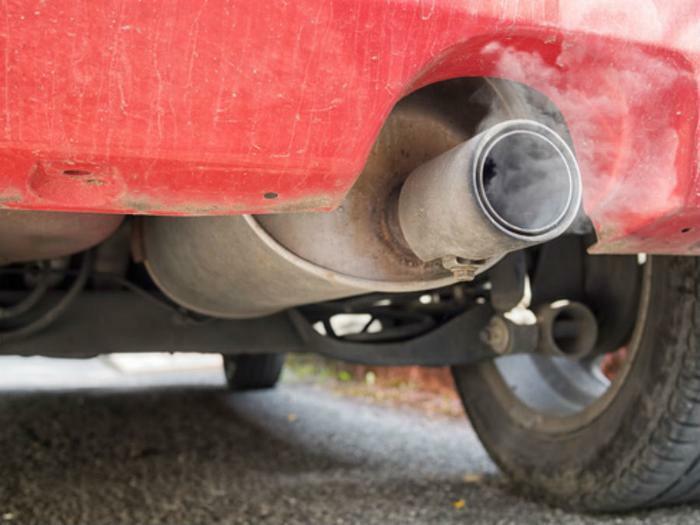 The researchers hope that their findings will help make the public more aware of how harmful vehicle emissions are and prompt regulators to impose stricter standards. "By demonstrating this potential public and global health problem, we hope that our study prompts leaders to develop thoughtful environmental regulatory policies that promote the health and well-being of future generations," said Chin. The full study has been published in The FASEB Journal.